Established in 1997, M&R Plumbing and Heating Ltd provide a complete range of domestic and commercial gas, heating and plumbing services, specialsing in alternative/renewable energy solutions. We are an accredited Worcester Bosch installer, and all our engineers are Gas Safe and Oftec registered. As a family business, we pride ourselves on our high standard of workmanship and excellent aftercare service, which has secured us a large amount of repeat business over the years. Top workmen, friendly, efficient, tidy and skilled. Recommended...certainly! We have lived in Horwich for 8 years and have always used M&R. Most recently they installed HIVE for us and attended to some other issues including a leaky radiator valve, installing a new outside tap and fixing a blocked sink. As usual, the team arrived on time and did a thorough and professional job. They were friendly, polite and tidy and we were very happy with the work completed. The work consisted of the removal of an ideal Elan boiler and the installation of a new Bosch 15rl boiler by M&R Plumbing and Heating. I was very impressed with the efficient way the work was carried out and the professionalism of all the staff involved. The traders came and fixed my boiler they were very understanding and explained what they were doing. They didn't hesitate when I was asking questions. They were friendly, polite and I would recommend them to anybody. 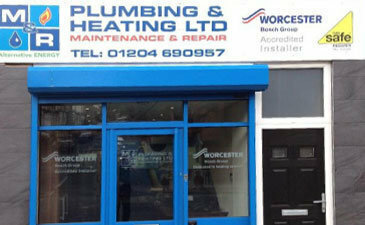 M&R provide Worcester Bosch boiler with 10 yr guarantee, hence they gave not the cheapest quote. Arrived at the promised time and the job was completed in under 2 days as predicted. Work involved several places around house and garage and 3 men arrived and each got on with their part of the job. Polite and friendly. Also tidy - put down a carpet protector and cleaned up after they finished each room. 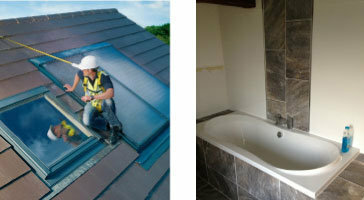 They took responsibility for the quality of the work, checked for leaks and dealt with any issues as they went along. Boiler installation was neat and effective. Had difficulty sourcing matching brick around the flue. Completed in less than the time stated and the system was demonstrated and instructions given at the end. Overall very happy with the work. 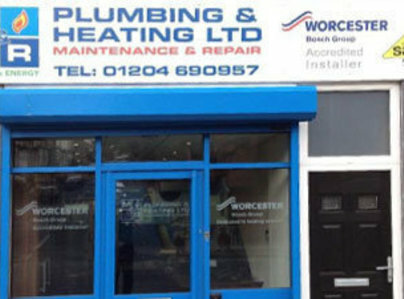 M&R provide Worcester Bosch boiler with 10 yr guarantee, hence they gave not the cheapest quote. Arrived at the promised time and the job was completed in under 2 days as predicted. Work involved several places around house and garage and 3 men arrived and each got on with their part of the job. Polite and friendly. Also tidy - put down a carpet protector and cleaned up after they finished each room. 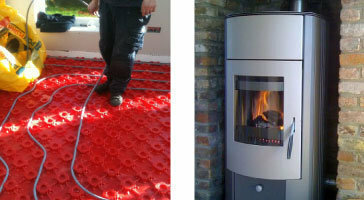 They took responsibility for the quality of the work, checked for leaks and dealt with any issues as they went along. Boiler installation was neat and effective. However they had difficulty sourcing matching brick around the flue. Completed in less than the time stated and the system was demonstrated and instructions given at the end. Overall very happy with the work. 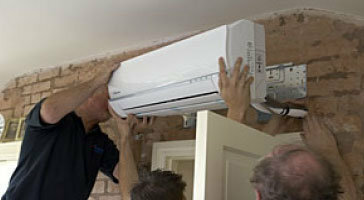 We chose M & R to replace our boiler because we know that we always receive prompt, friendly service and pay a fair price. The job was done efficiently with the minimum of disruption. Excellent service from start to finish. This company came recommended and didn't disappoint. They were punctual, efficient and polite. I would definitely use them again. Thank you! Just had a new boiler fitted. An excellent service from the quote to the finished job. We would recommend this company and will definitely use them again. Fantastic service from quote to finished job. Thank you.